Wife, Kuma The Dog's Mom, interior designer. Good morning! I hope you had a great weekend. I am so excited that it is officially Spring! I love finding color palettes in all sorts of photos and experiences in real life. Color palettes are everywhere… much like art and design inspiration is everywhere around us. This season I am really craving pastels! There have been plenty of Spring seasons that the bright, poppy colors are really calling my name; but this year I am all about the calm and soothing watered-down hues. We’re almost to the weekend! 🙂 I hope you’re having a great week so far. Mine has been super productive and I’m so grateful for that! Back in January, I stopped into Goodwill on Dollar Day (Thursday!) to see if I could find anything that caught my eye. I have been waiting to find the perfect artwork to put over by our kitchen table since we moved into this house — I mentioned on the blog that I usually don’t go searching for artwork, I wait until it finds me! And I stumbled upon something good! These two “prints” inspired me. But before I tell you why, let me tell you that I am using the term “prints” very loosely…ha. These were literally printed off images on cheap computer paper stuffed into two very ill-fitting and flimsy frames, lol. Nothing fancy here, folks. I paid 99 cents each for this artwork and knew that my next order of business was finding some good frames. The reason these pictures spoke to me is because I love making my house smell good with natural stovetop scents, and I’ve written about that on the blog here and here. These pictures totally reminded me of some of the ingredients I use in my recipes! The pictures themselves are not very large — about 8″ x 10″ — and the space in our kitchen calls for something pretty substantial. I was looking for large, neutral frames with a chunky white mat. A couple of months later, I was perusing HomeGoods, and I found just what I had been picturing in my head. I love when things work out like that! To the left of this is our buffet with our coffee station and a couple of chalkboards above. I love how this dining area feels like its own separate and defined space now. I found this table runner in the Target Dollar section. I think it’s so cute and perfect for Spring. The tassels add a fun element to it. I’m a sucker for anything with tassels, lol. The metal pail came from there, too. I plopped in a plant from Trader Joe’s. This was such an inexpensive project and it took some time to complete because I was waiting for things to find me, but it was worth it! This art wall feels so representative of our little family now. I love it! And I hung these up myself, which was a major accomplishment. I used a level, guys! Lol… Greyson is usually the hanger-upper, so I was pretty proud of myself that I got these up on my own. Happy Friday, friends! I, for one, am really looking forward to the weekend. It’s been a whirlwind of a week, that’s for sure. My little blog has evolved a lot over the years. In the beginning, I really only posted about interior design inspiration that I found on the internet. I would pick a theme and post about it — pretty simple. We lived with my in-laws, I was just starting out in my career (at a rather uninspiring job at that point), and I didn’t have much to share, lol. But I loved writing, I loved design, and that was my driver. I started sharing my in-laws’ house a bit after that. Vignettes I would create, my mom-in-law’s beautiful holiday decorations, table settings… It’s where I got my creative outlet for sure. And then we moved into our house! I’ve shared the whole evolution of our house design on the blog and have especially focused on mostly only original content since the beginning of January. It’s been fun and I feel proud of the things I’ve created here. 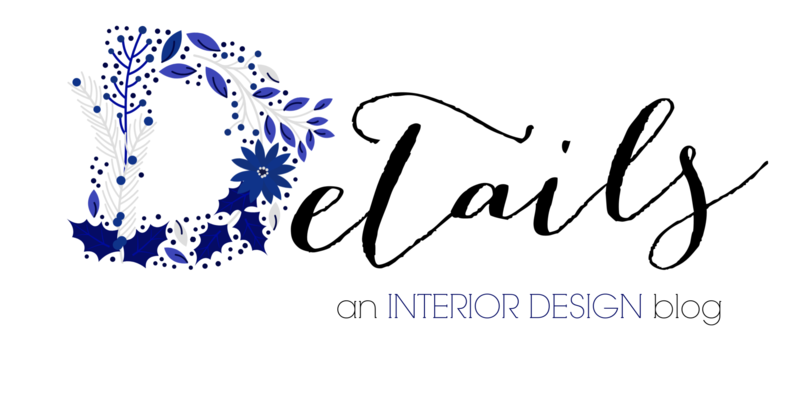 But I’m also itching to bring back some focused interior design posts without compromising my excitement over featuring mostly my own created content. I love a well-designed kids’ room. I have worked on a couple in the last few years and they were so fun to create — and install! I was inspired by this adorable twin bed from Serena and Lily, and the rest of the bedroom just moved forward from there. I don’t like everything to be totally match-y in a bedroom, but I do like to have consistent finishes and a color theme. I like to go with one color of finish for the case goods (nightstands, dressers, desks) and keep that pretty consistent or select colors that play well together; and then I like to have fun with the upholstery and keep that consistent, too. It doesn’t all have to be one color, but ideally if you have a poppy color, like the pink above, it should float all around the room. The best ‘formula’ I have for this is to find ways to use that pop of color on a vertical scale (window treatments / paint / wallcoverings), on a horizontal scale (furniture and accessories), and on the floor (i.e. your rug selection). You don’t have to be too rigid with this, but I think that consistent finishes and colors and good distribution of color will create a really tailored, expensive-looking space. Seriously, people — you cannot have too much. It’s really all about the texture when it comes to livening up a space. Especially in kids’ spaces — utilize those baskets! Serena and Lily have amazing ones (that cost a fortune, but holy gorgeous!) or check HomeGoods. For this room, I really fell in love with that branch etagere. It’s perfectly feminine and just a really fun statement piece. Also that pink shell chair on casters is a cute little vintage-inspired throwback accent. I think every room needs at least one quirky, fun, or whimsical piece in it — large or small. I also think it’s neat how that etagere could look really formal in another room design but in this one it just looks kind of magical. 🙂 It just goes to show you that so much of design is determined by how you mix and match things. If you have any questions on where anything is sourced, drop me an e-mail or leave it in the comments below. I hope you have a great weekend! Good morning! It appears that just as swiftly as the “snow” left our valley, we have been blessed with beautifully warm Spring temperatures. This has me feeling ready for Spring. Bring on the peonies, outdoor coffee dates, farmer’s markets, and al fresco dining. Each season, I like to compile a bunch of inspiration photos together to welcome and celebrate its arrival. Looking over this Spring’s photo collection, it’s clear to me that I am feeling very drawn to soft, subtle colors in lieu of bold patterns, which is kind of new for me! There are plenty of photos of very neat, organized cabinetry, shelves, and spaces because, well, this time of year is when I especially crave that order. I am still trying to purge and organize some small areas of our home and then I will be getting on with my Spring cleaning, which is a process that will take me a few months. Right into Summer! Which is when we will officially enter into sloth-mode due to the extreme heat — ha! If you’re living in a part of the world that is still experiencing a very cold Winter, I hope these photos make you feel warm. 😉 Spring will be here before you know it! Good morning! 🙂 I hope everyone’s week is off to a great start. I’m off to visit my sweet nephew later this afternoon and I’m so excited! Our little house has two bedrooms. Since we moved in I think we have been struggling with what to do with this extra room. We don’t have kids yet, we don’t really need a guest bedroom, but we do have a computer and books and a printer…office stuff! The furniture in this room has moved along with us many times over the years. It is pretty beat up and I’m hopeful that in the coming months and year (?) we can either paint these pieces or design a new room entirely. I have dreams of making this space a room where I can work but also a room where we can retreat to for quiet… a cozy room. I have a whole floor plan and design plan worked out for this ideal room. 😉 Are you surprised? Lol… BUT for the time being, the goal was just to get this room organized, decluttered, and useable. This room had become the place where we put things that we didn’t know where else to put. A catch-all for mail and papers that had not been filed. A place where things I didn’t want to deal with at the moment went to live. Not good. So at the beginning of January, I decided to really start tackling this space. I shared these pictures on Instagram while I was in the thick of it. This was how the room looked for a couple of weeks — I would just work on it when I could and be grateful that I had a door that I could close. There was so much to go through. So much that had to be thrown away or recycled. So much that I donated. So much that I was ‘saving for later.’ So. Many. Duplicates. Ugh. This picture was taken as the room started to take shape. At this point I had whittled away the big clutter and I just had a bunch of annoying little things to look through. Not my favorite! And here’s our little room. I placed the rug on an angle as you enter the room to make it a little bit more interesting. Adding the tassel garland over the window is something fun in here until I figure out a window treatment someday. The mirrored closet doors are not my favorite feature but they serve a brilliant purpose in our two bedrooms because they make the small rooms appear bigger. Grateful for that! This is our desk. I really hardly use this space, which is why I would love to make this room a little bit more relevant to how we live. We have a desktop computer that is rarely used anymore so ideally we would sell that and then buy a small writing desk that would be used for laptop work. But for now, this is what we’re working with. It’s all a process! I made this little ‘inbox’ for myself from the top of a cute box that I received a gift in at Christmas and I added some pretty paper from The Dollar Store to the bottom just for fun. Also, that coffee warmer on the right-hand is one of my favorite things ever! My craft supplies got a huge overhaul. I don’t have a ton but what I did have was so disorganized and I was hanging on to so many things for later that I ended up just donating a bunch of things. Holiday treat bags are my nemesis. I’m going for simplicity this year and that means I don’t need things like special holiday treat bags, you know what I’m saying? I’m remembering that we live in just over 1,000 square feet and I do not have room for everything! On my little card table work station I have this caddy that I used for our brunch with family last month and some things that inspire me — sand from our last trip to Oceanside, rocks to be painted, and my Gramma’s beads that I treasure. I send a bunch of snail mail, so a place front and center for that with no digging required was high on my priority list. I love having all of these things easily accessible. These bins from IKEA have long-awaited a real purpose. For over a year they have each held their own special collection of random c-r-a-p. The ‘Current’ bin has supplies and items that I frequently access for any current projects I’m working on. The other two hold office supplies and also my gear for my Barre3 workouts. I have a whole bin that is EMPTY. So that was exciting! Let’s talk books. I don’t think I will ever be someone who can limit my books to a certain number. But I only have so much space and at this point we only have one place where books live in our house, so I am limited in that way. I decided to be pretty ruthless about what I kept. Anything that I would really want to read again, I kept. The same went for my husband. Design books that really inspired me — yes. A few keepsake books — yes. Everything else was donated. Now that I have these parameters in place, it’s really easy for me to decide when I finish a book if I am keeping it or donating it. A lot of used book stores will buy your books back and then give you credit for their store, so I like to do that, too. I stored our books in various ways on the shelves… Some by genre, some by author (Emily Giffin gets her own shelf! ), some by the time period… I tried to keep each shelf in a ‘family’ of sorts so that when I finish a book that I want to keep, it will have a specific place that it fits into. Bags on the floor are not my thing, but that’s where my work bags have been living for over two years. Command hooks are my favorite. Finally, Kuma’s “house.” He is a dog with a bed in every room. This room and this “house” is kind of his storm retreat. If there is a loud storm, or if things are loud in general, or if he just needs some peace and quiet he goes in this little covered space that Grey made for him out of PVC pipe. I upgraded his ‘window treatment’ with a little bit of pom pom trim that I found when I was decluttering the craft supplies. Because he obviously deserves it, and also because it makes me smile every time I see it. 🙂 It truly is the little things. Whew! If you’ve hung on until the very end, thank you! I’ll share more updates of this never-before-seen-on-the-blog space as they happen. But this room is proof for me that sometimes it’s not about the design or decorating being everything you’ve ever dreamed of — sometimes it’s just about feeling like everything has a place and things are organized. That alone can make a room feel brand new! Each year I post about Pantone’s Color of the Year. I have to say that in recent years it hasn’t really thrilled me! But I’m excited about this year’s color — Living Coral. If you’re looking for simple ways to add this color to your space, pillows, accent rugs, accessories, or even a little artwork will do the trick. No need to fully commit.